Sometimes, it’s refreshing to use the camera to capture a moment of surrealism rather than an instant of reality. 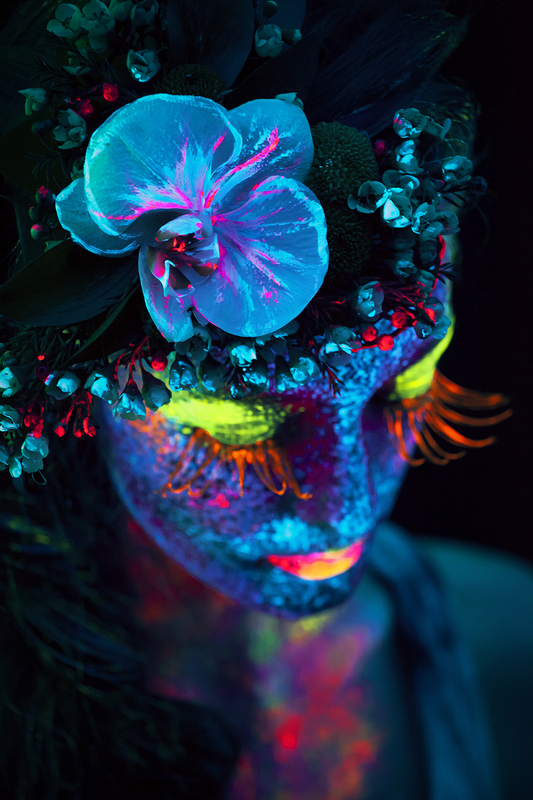 Drastic lighting changes, like black lights, combined with odd makeup or body paint are perfect for making ordinary scenes look other-worldly. 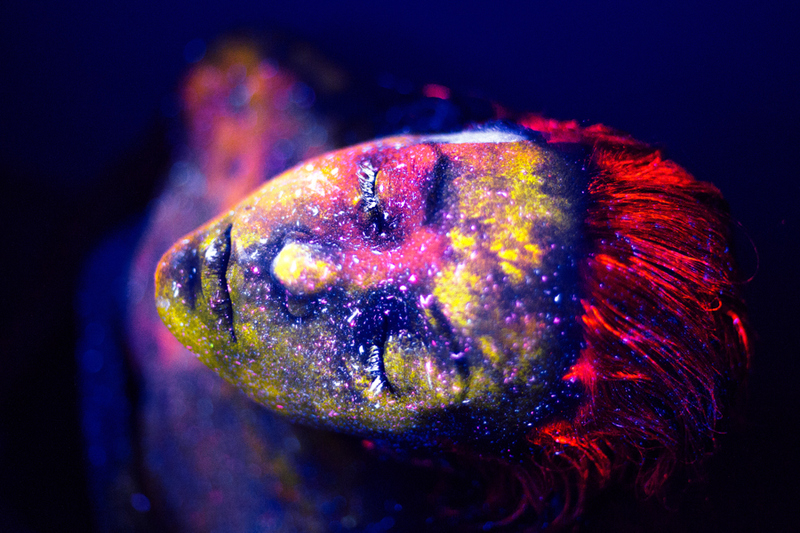 In the spirit of surrealism, we’ve compiled a collection of the best photographs on the net that were taken using black lights. 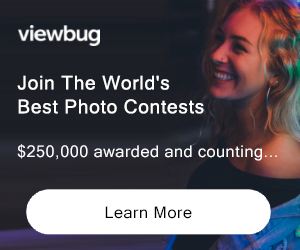 Give your eyes a break from retouching those photographs from your last wedding shoot or researching new hiking locations and get ready for some visual eye candy! 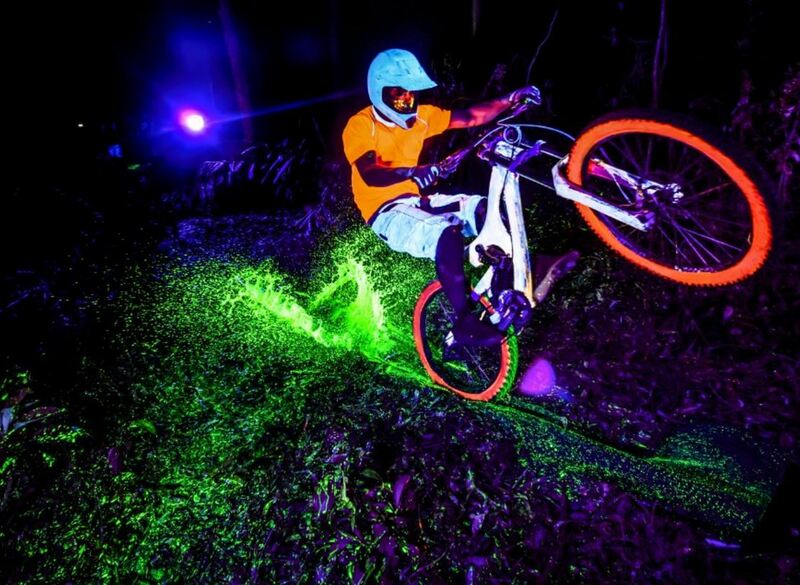 Brazilian photographer Marcelo Margani created this series, called “Black Light Bikes,” by cutting glass away from black light bulbs and using the glass as a filter on his normal studio flashes. You can see the rest of this stunning set here. 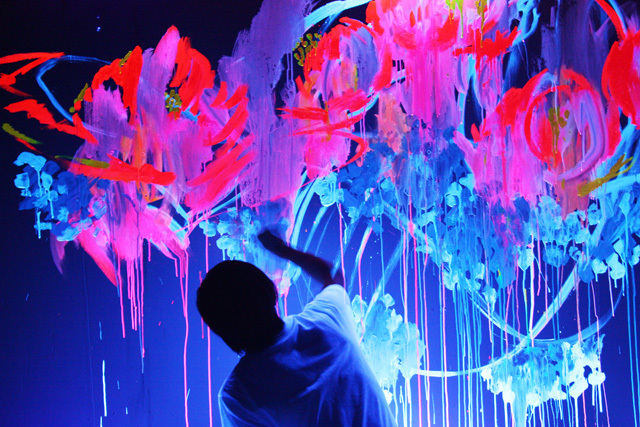 Houxo Que is a Japanese artist who creates his art live using fluorescent paints and black lights. You can see more of his stuff here. Daria Khoroshavina is a Russian photographer who wanted to create chaotic photographs that resemble space and the night sky. 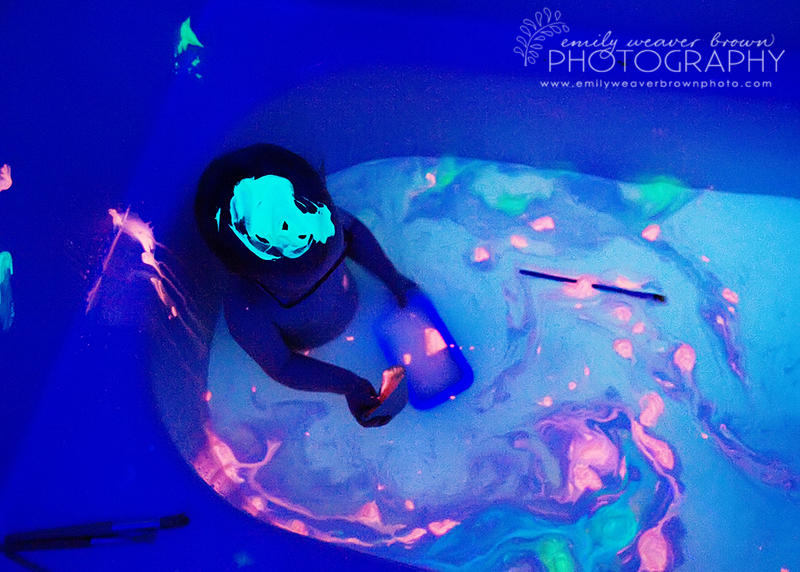 You can view the rest of her black light photos here. 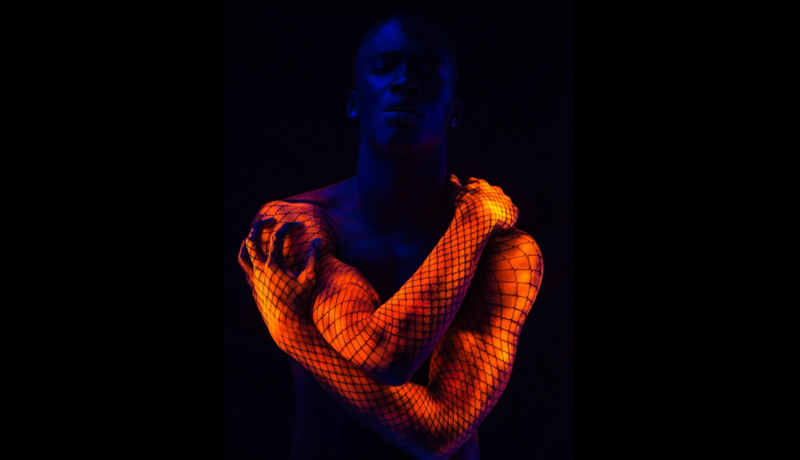 Zim Killgore used complementary colors and very intentional pose to create this incredibly beautiful image. View more of her work here. 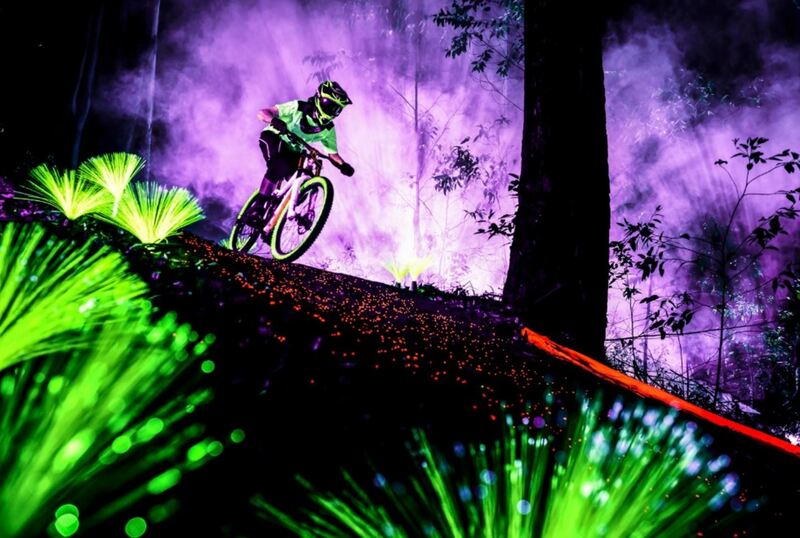 This psychedelic image is pretty groovy. View the rest of Marko Kudjerski’s here. Charles Mitchell is an Atlanta-based photographer who believes that we, as photographers, spend our whole lives chasing moments. 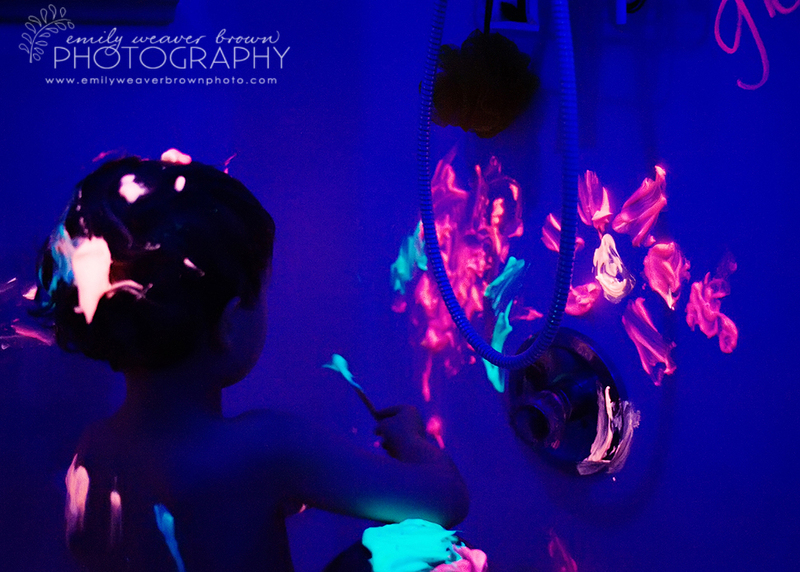 He succeeded in capturing some beautiful surreal moments in his black light series! View the rest of this set here. 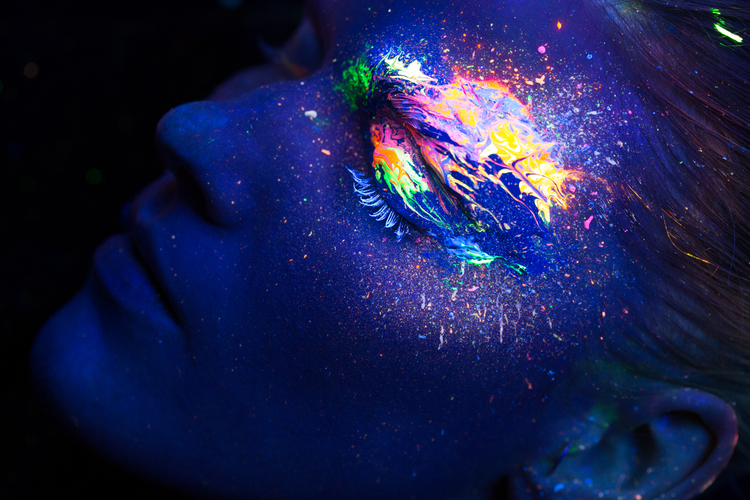 Jessica Pages worked on this photoshoot with Sara Domi—the pair wanted to explore black light reflective makeup, and the results were magnificent. You can see more of this photo shoot here. The flower in her hair really makes these image. 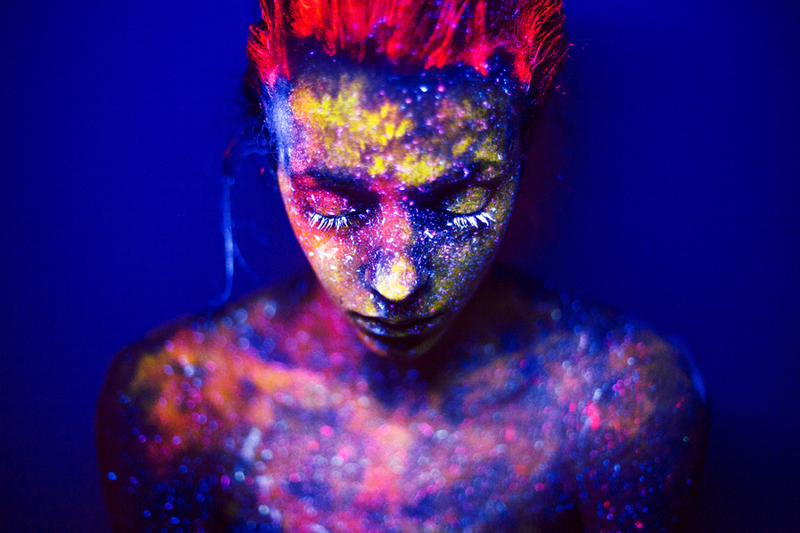 You can view the rest of Simon Norbert’s black light series here. This photograph has a high-fashion editorial feel to it! View the rest of Vincent Remy’s fabulous portraits here. Samantha Star and Michelle Daniele did an amazing job modeling for this photo shoot! The photographers of this shoot are currently unknown. You can view the rest of this photo shoot here. The circuit board designs give this photograph a futuristic, Tron-like mood. This photograph was taken by dogsofeternity. 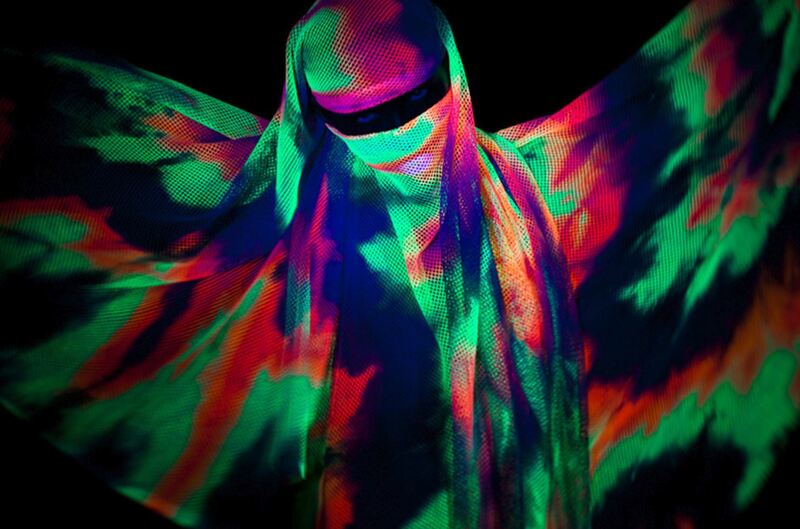 This series by Reka Nyari is called “Under One Light.” It combines elements of World religions and unifies them under the same light—a black light. 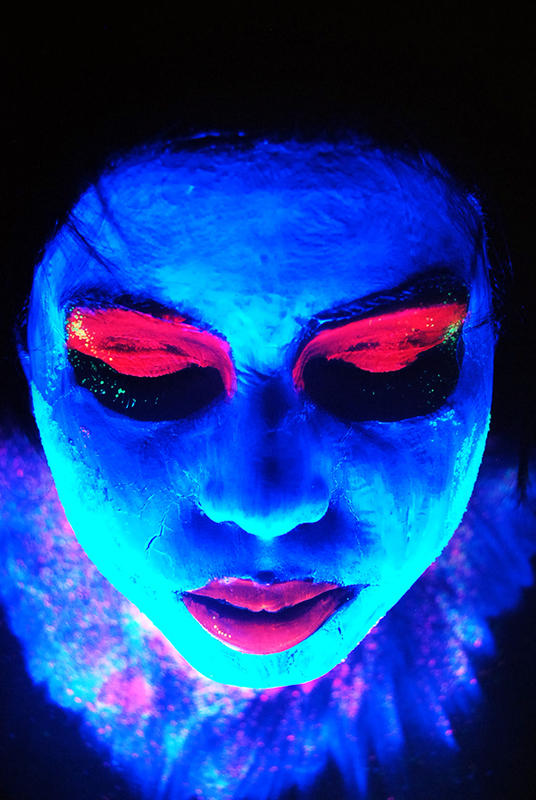 Check out the rest of Nyari’s black light work here. 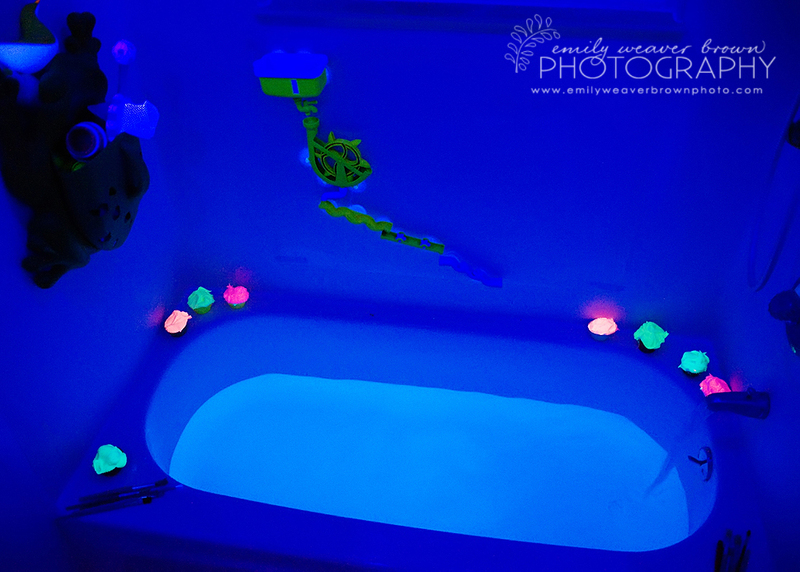 Photographer and blogger Emily Weaver Brown set up this DIY black light bath for her kids, and it turned out to be the perfect set for a photo shoot. For instructions on how to do this yourself as well as more photos from this shoot, click here. 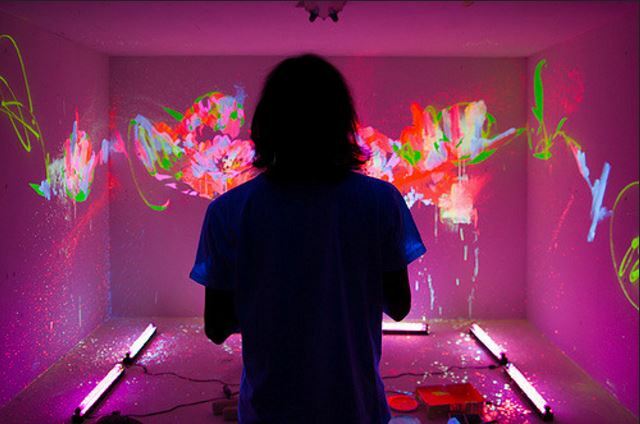 In this series called “Blacklight Thesis,” France Añonuevo creates soft, mesmerizing visuals. You can view more of her work here. 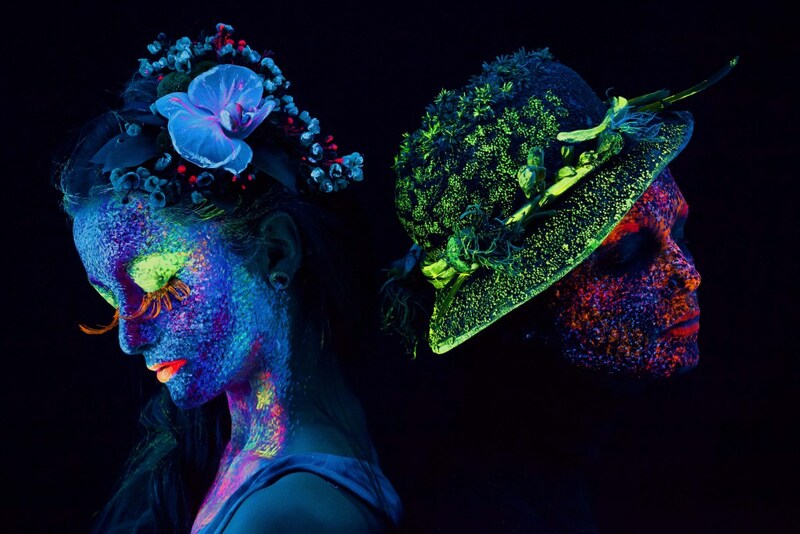 If you like what you see and want to experiment with black light photography for yourself, there are a few different routes you can take. 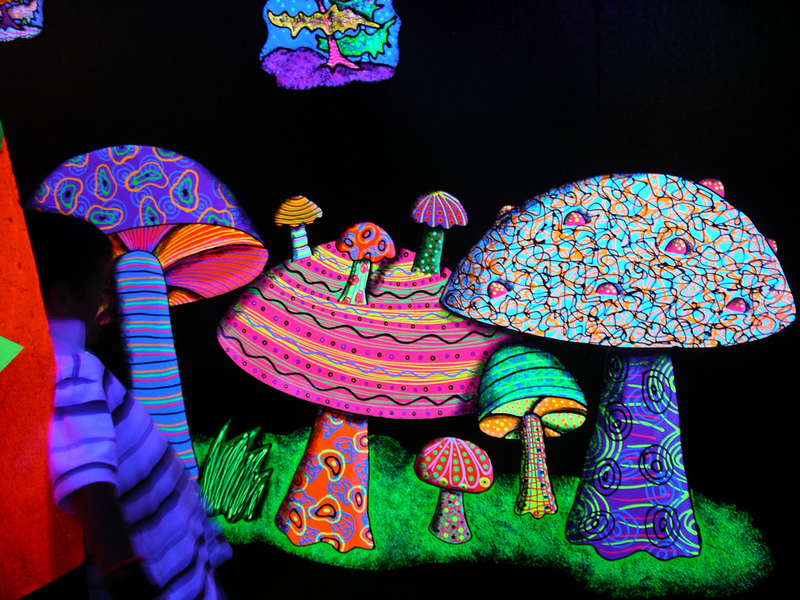 There are actually black light camera flashes available for purchase online, or you can attempt to make your own. You can also purchase black light bulbs and other types of lighting sources at your local hardware store or super center. 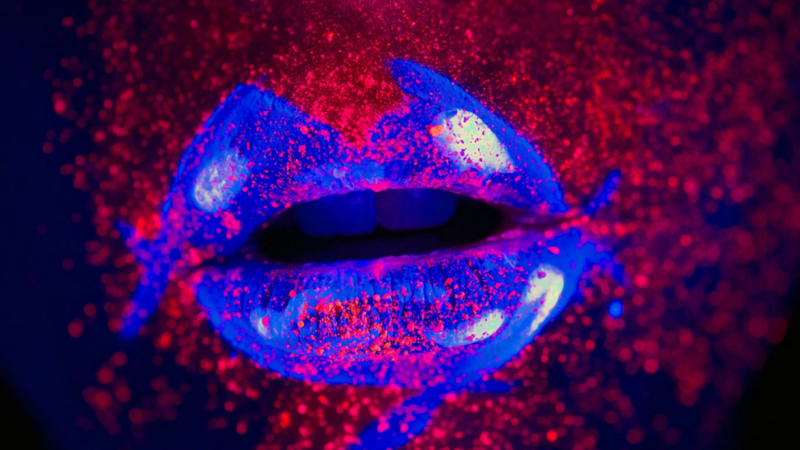 You can visit a craft store to purchase neon paint, and if you’re wanting to take portraits, there are plenty of glow-in-the-dark cosmetics, temporary hair dye, and fingernail polish available at most drug stores. 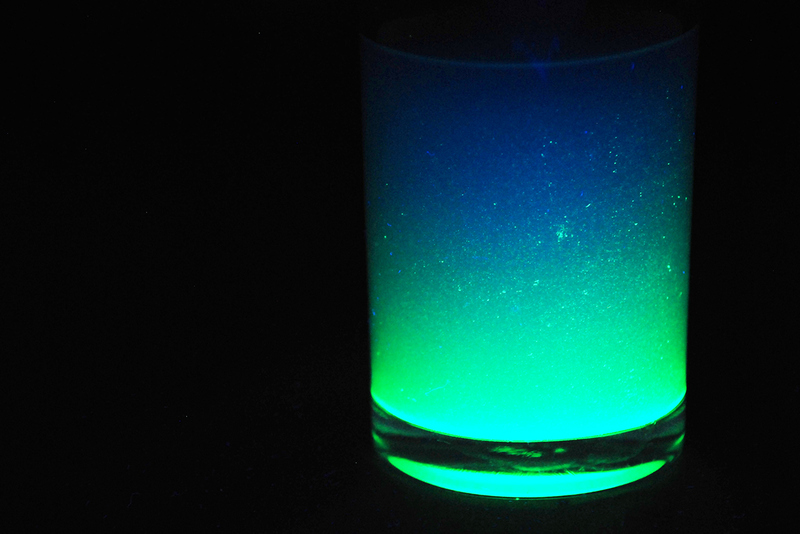 White shirts tend to glow in the dark as well, as do standard highlighters (the ones used for coloring). For interesting textures, try finding complex patterns or contrasting stripes. White patterned leggings or fishnets, and tutus or other pieces of clothing made from tulle look interesting as well.